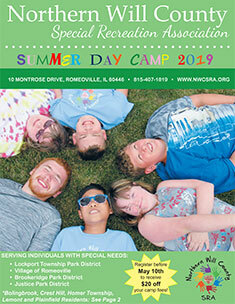 Northern Will County SRA strives to continue to expand and enhance our program offerings while keeping the programs accessible and affordable to all. 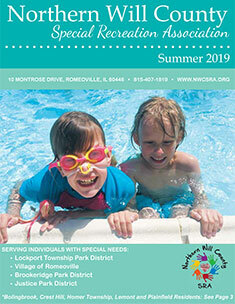 Making a donation or sponsoring an event or program is a great way to get involved with Northern Will County Special Recreation Association. We invite you to be part of our success. Your commitment to individuals with special needs and abilities is appreciated. For information on how to donate or to become a sponsor contact Executive Director Kailee Kordas at (815) 407-1819 ext. 204 or kkordas@nwcsra.org. 2019 Battle of the Brains: Due to the generosity of our trivia teams, sponsors and donors, the Battle of the Brains raised $5,739.24. 2018 Candlelight Bowl: Due to the generosity of our bowlers, lane sponsors, dinner sponsor and raffle prize donors, the Candlelight Bowl raised $3,332.05. 2018 Golf Outing: Due to the generosity of our golfers, dinner guests, sponsors and raffle prize donors, the annual golf outing raised $9,693.92. Event Sponsors: Village of Romeoville, Kohl’s Cares. Elite Sponsors: Brian Wille Construction, CITGO, Dominic Salvino, Lindblom Family and Metropolitan Industries, Inc.